There’s a common saying which advises that you should “love the skin you’re in,” but let’s be real here. What if you want to love your skin, but haven’t gotten to the I like you stage yet? A beautifully healthy and glowing complexion is coveted and admired by many. Although there are many cosmetic products that were created to give the effect of a flawless complexion, none could quite compare to having the real thing. After all, to achieve a truly flawless complexion the skin needs to be able to breathe without a layer of makeup applied to it. With the skin being the largest organ on the body, it can also be quite sensitive. Being that there are a plethora of internal and external factors that can affect the appearance of the skin, it can be more challenging to achieve that flawless Beyoncé “I woke up like this” image first thing in the morning. Luckily, we live in the age of technology and innovation, where there is no problem that cannot be remedied. For quite some time now, men and women of all ages have embraced the cosmetic dermatology industry that has allowed for fine lines, wrinkles, uneven skin tones and textures to be something that doesn’t necessarily have to last forever. The use of different fillers, chemical peels, and lasers have grown exponentially in popularity, and continue to get better as technology progresses forward. Some of the most cutting edge treatments are those that are done with the use of laser technology. The sound of a laser being used on the skin can sound quite scary to some, but the Nd:YAG laser technology that is used for cosmetic procedures has existed since the 1960’s and has only gotten better with time. 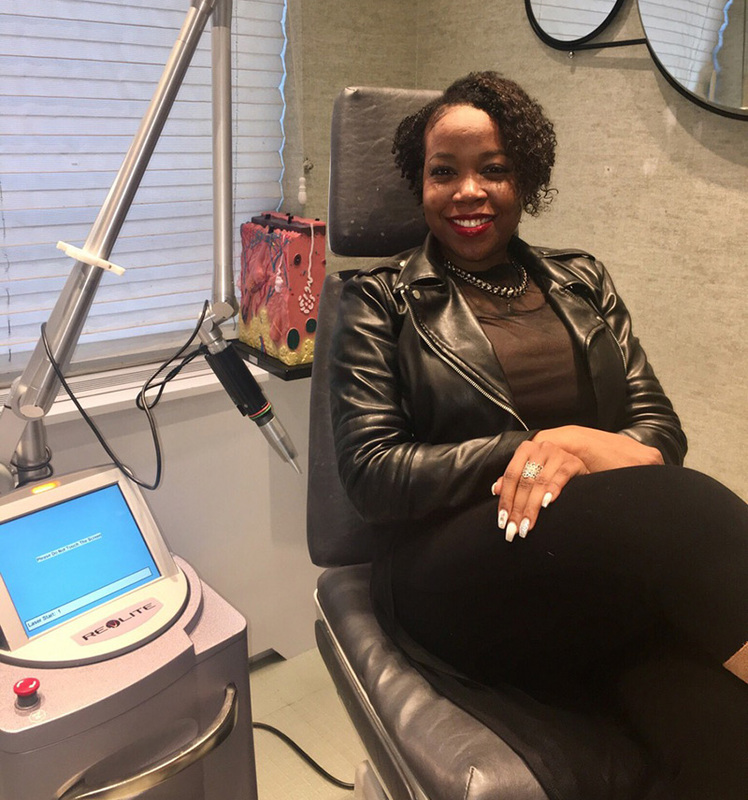 With there being such a popularity in laser treatments, we at MyTopFace got in on the action and had one of our experts check it out. 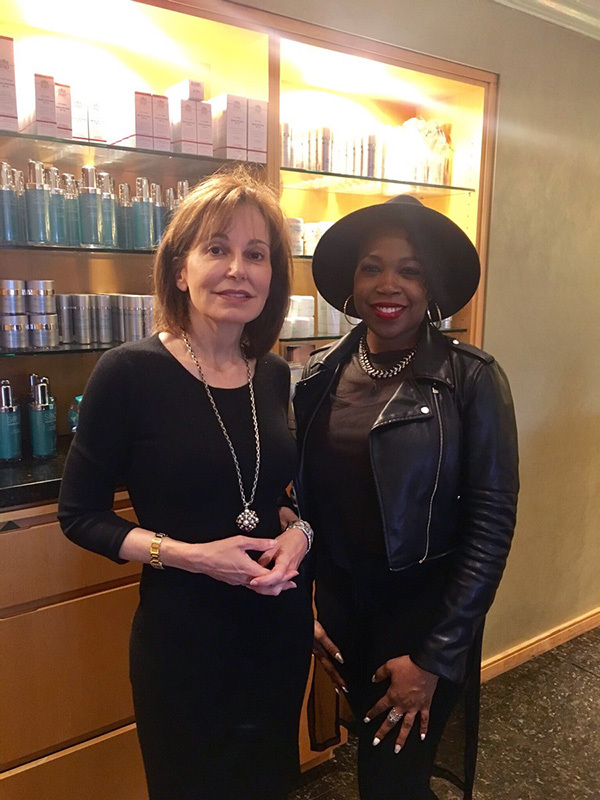 Our MyTopFace expert visited the private practice of world-renowned Dermatologist Dr Debra Jaliman, to receive the RevLite laser treatment. The Revlite laser is used to treat hyperpigmentation and brightens the overall complexion. The laser stimulates the skin to produce more collagen, and leads to a younger and fresher looking skin. Upon entering the quaint and serene office, our MyTopFace expert was greeted and led to the laser treatment room by Gosha, the in-office laser technician. 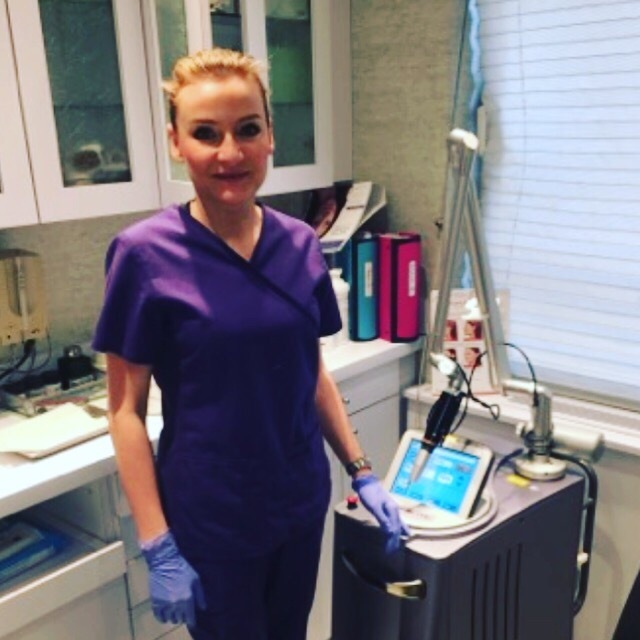 Knowing that this would be a first-time laser treatment for our expert, Gosha very carefully explained and described the different sensations, sounds and smells that could be experienced during this treatment. She explained that the laser will feel warm to the skin, and that there might be the slight smell of burning hair due to the fine facial hairs encountering the laser. She then carefully cleansed and inspected the face, taking note of spots of hyperpigmentation and enlarged pores. After the consultation, laser protection eyewear was placed over the MyTopFace expert’s eyes, and the treatment began. Once the Revlite machine was activated, Gosha started treating the face starting from the perimeter and moving inwards toward the nose. The sensation felt by the MyTopFace expert was a slight sting and discomfort, but grew into a sensation of full blown heat. Being that this was the first time ever receiving any type of laser treatment, the MyTopFace expert experienced some discomfort but was not in any pain. Gosha applied cooling packs to the areas that were experiencing discomfort, and quickly worked her way around the experts’ face within fifteen minutes or less! 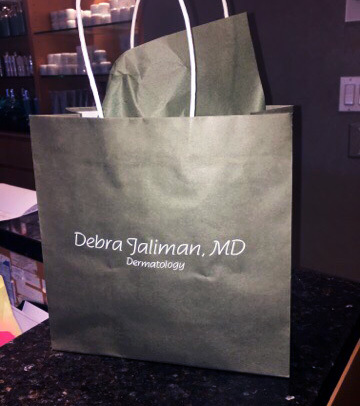 After the treatment, we sat down with Dr Jaliman herself to get the inside scoop about this fascinating laser. MyTopFace: How would you explain the Revlite Laser Treatment to someone like me who has had no experience with any procedure like this? Dr Jaliman: What the Revlite treatment does is it shrinks the pores in the skin. It’s safe for any skin color, and is especially good for darker skin colors. It evens out the skin tone, brightens and gives your skin glow, and also gets rid of fine lines so people really love it. This laser stimulates the fibroblasts in the skin which are the collagen making cells. As we age the fibroblasts start to become sluggish. They slow down and they don’t make as much collagen, so what this does is it pumps up the fibroblasts and it tricks them into making more collagen. That’s why it gets rid of the fine lines because its stimulating your collagen making cells. MyTopFace: Do you see people using it as an anti-aging procedure? MyTopFace: So once these fibroblasts are stimulated, if I were to stop the treatment will they basically stop being stimulated? MyTopFace: How long has this technology been around? Dr Jaliman: It’s been around for years because it is a Yag laser so that technology has been around for years, but we have the newest of this laser. MyTopFace: What are the pros and cons of the treatment? 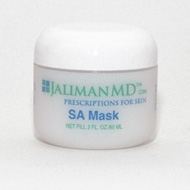 Dr Jaliman: The pros are that you can use it on any skin color. Many lasers you can only use on very fair skin. I guess a downside would be if maybe you had really bad skin you may have to go to a stronger laser. The other big plus is that there’s no downtime. That’s the biggest plus for such a busy place like New York City, where people don’t want to go into hiding. MyTopFace: Is this treatment safe for ethnic skin types? MyTopFace: Who is the ideal candidate for the Revlite treatment? Dr Jaliman: Dark skin. We bought it for dark skin because we do see a lot of people with dark skin. There’s so many people in New York who have mixed ethnicities. Let’s say someone comes in and they have very light skin but there’s dark skin in their background, you could ruin their skin because you don’t realize it. What we like about this is that it’s really safe and you don’t have to know someone’s ethnicity, whereas if you used one of those other lasers and someone didn’t tell you their full background it could cause damage. MyTopFace: Is there an age parameter for the ideal Revlite client? MyTopFace: How old is too old? Dr Jaliman: We think you’re never too old. As long as you’re still breathing, we’re still working on your skin. As long as you care about your skin. I’ll still be working on my skin as long as I’m around. MyTopFace: Have you been seeing a trend of younger women doing procedures? Dr Jaliman: Yes, I would say so, we start seeing people in their twenties wanting to work on their skin with lasers, which is really interesting to me because I have a twenty-five-year-old daughter. Her and her friends are here doing lasers. MyTopFace: I know pain is subjective, but is this considered a painless treatment? Dr Jaliman: You could say for some. I’ve been doing lasers for so long. When most people do laser for the first time ever they might feel a little uncomfortable, but the second, third, and fourth time they’ll feel more relaxed and say they can take a nap! MyTopFace: How long until I start seeing results of this first treatment? Dr Jaliman: Well your skin is glowing already! MyTopFace: Is there a healing period involved? MyTopFace: Is this procedure quick enough that it can be done on a lunch break if necessary? Dr Jaliman: Yes. In the old days, they used to say people would come for a lunchtime peel, now it’s a lunchtime laser. It’s in and out in about 15-20 minutes, and people will do this and go out to dinner or to a party. MyTopFace: Can makeup be applied after the treatment? MyTopFace: What is the level of commitment needed to see the best results? Dr Jaliman: I do think you have to be a little bit committed because I think with one treatment you may see something, but I think it’s usually three to six treatments. We do it every two to four weeks, so you do have to be a little bit committed to a laser. It’s not like a Botox where you do it once and you’re going to see the results. You do have to be somewhat committed, but then once you do a series the good thing is you don’t have to keep doing it. Your skin will be great. MyTopFace: What is the financial commitment of maintaining this treatment? Dr Jaliman: This treatment is $750 if you do your entire face for one treatment. 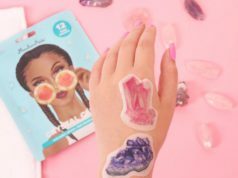 If you buy it as a package you get a 10% discount, but sometimes people not wanting to spend so much money will do a section of their face. Let’s say you have lines on your upper lip, an upper lip is $250 or around the eyes is $350. Some people will just target certain spots they may have, so people can do less and a lot of people choose that. MyTopFace: With there being a lot of different treatments that can be done for fine lines, what makes the laser different from a Botox or a filler? Dr Jaliman: Let’s say you do a Botox, and I love Botox I was the second person in North America doing it, when you do Botox you’re committing yourself basically to doing Botox every three months and that’s it. If you do the laser you do it and then eventually you’re done. What a lot of people like about this is that there’s an endpoint. You do your lasers to get rid of your lines, and you’re done because you’ve built that collagen. Let’s say you’re using filler and injecting lines, you have to keep injecting those lines. Here you’re building your own collagen and whatever collagen you build you’re keeping. The other thing is, it is more natural in that it’s your own collagen. We have all varieties of patients, but we have patients who may be vegetarian or into health foods or organics and may not want to put Botox into their face so they’d rather just use a laser and build their own collagen. MyTopFace: Is this treatment safe for pregnant women? Dr Jaliman: Nothing is really approved for pregnancies, but there’s no study on it so we don’t do lasers on pregnant women because it’s not approved by the FDA. MyTopFace: Are men also getting in on the Revlite movement? Dr Jaliman: Very much so. MyTopFace: What are the aftercare procedures after receiving the laser? 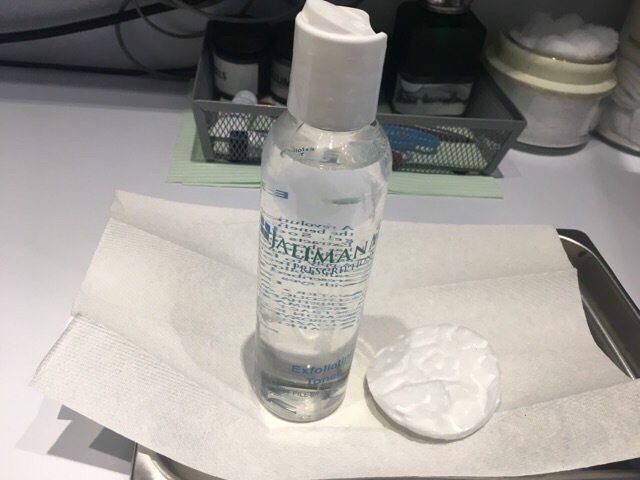 Dr Jaliman: The best thing is you can just throw a moisturizer on and go. I wouldn’t put a retinol or an acid after for a couple of days, but other than that you can put your sunscreen or makeup. MyTopFace: Are there any possible adverse reactions to the treatment? Dr Jaliman: As long as you go to someone who knows how to use the laser you shouldn’t have a problem. MyTopFace: Who should be trusted to conduct a Revlite treatment? Doctor? Technician? Esthetician? Dr Jaliman: Somebody who has been trained and certified to use the laser. MyTopFace: Where is it safest to receive this treatment? Doctors office? Spa? Salon? Dr Jaliman: This level of laser should be done under the guidance of a doctor. MyTopFace: Can this treatment be done on other parts of the body that experience hyper pigmentation? Dr Jaliman: Yes, you can do it anywhere on the body. We’ve done it pretty much everywhere! MyTopFace: Is this a treatment that is being used to essentially stop the aging process? 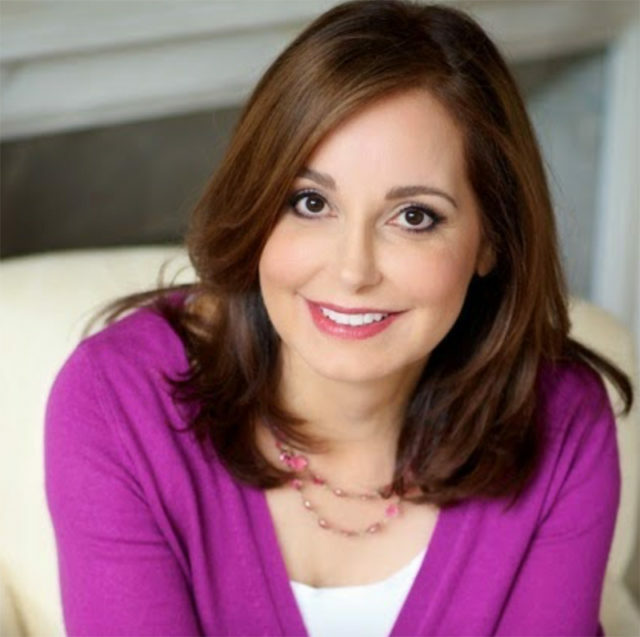 Dr Jaliman: I don’t think anything stops the aging process, but I think it can slow it down. Also, our Mytopface team was lucky to try two Jaliman MD products: SA Mask and Exfoliating Toner. Exfoliating toner works well as a nighttime skin care after a long day with makeup. 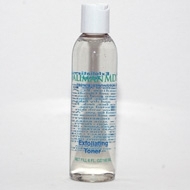 This toner showed great results on skin with fine lines and large pores. Skin feel pretty comfortable and clean after use. Our experience with a mask was excellent, it helps with deep cleaning, minimize pore and fight with disadvantages of oily skin. If you have sensitive skin like one of our experts use this mask for 10 minutes, it helps you avoid skin tightness. After using both products, your skin becomes more bright. We recommend using hydrating serum and cream after mask and toner. Before the treatment our MyTopFace expert experienced spots of hyperpigmentation on various areas of the face. There were also enlarged pores on both sides of the cheeks closest to the nose. After the treatment the MyTopFace expert experienced slightly itchy skin as the old skin was being shed. 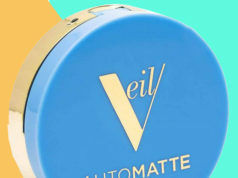 The texture of the skin was noticeably smoother, and the enlarged pores were noticeably reduced. The dark spots were also slightly lightened.